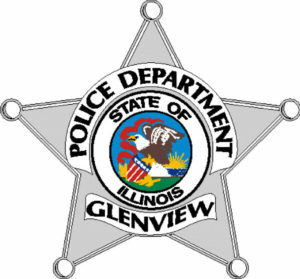 GLENVIEW, IL — The following information comes from the Glenview Police Department as a record of police activity. Readers are reminded everyone arrested is presumed innocent until proven guilty. Criminal charges can be dropped or reduced, and all information is provided as relayed to police. More than $5,000 in jewelry was stolen from a home in the 500 block of Warren Road by a purported contractor, a resident reported at 2:24 p.m. on May 30. A man described as Hispanic with a thin build and short hair said he wanted to look at the patio in the back of the building. Meanwhile, another person entered the home and stole the jewelry. More than $3,000 in jewelry was stolen in the 2500 block of Indigo Lane, a guest reported at 2:36 p.m. on May 30. At 8:35 a.m. on May 31, a resident in the 2200 block of Phillips Drive reported someone used their credit card number to make purchases at several different locations. The loss was not immediately known. Shortly after noon on May 31, a resident in the 1000 block of Linden Lane reported someone used their personal information to open up several lines of credit for a reported loss of $2,000. At 2:25 p.m. on May 31, a resident in the 1900 block of Wyndham Circle reported someone forced open a door to their home and stole an undetermined number of items. At 3:29 p.m. on June 1, a resident in the 1200 block of Washington Street reported someone opened a credit account in their name. A resident in the 1400 block of Meadow Lane reported someone used their personal information to open a credit account shortly before 2 p.m. on June 2. An employee in the 2500 block of East Lake Avenue reported someone stole $2,500 worth of landscape lights shortly after 2 p.m. on June 2. Did you know Forest not only offers the finest in home and business security, we also offer Identity Protection at a very reasonable cost. Call us for full details! Seniors Targeted by Scammers in Illinois! Shorewood, IL – Burglary Alert!